Hokage strongest to weakest during their reign as active leader. Agree? Disagree? I am torn about Kakashi and Tsunade, only because the Sharingan was pretty important in Kakashi's arsenal. 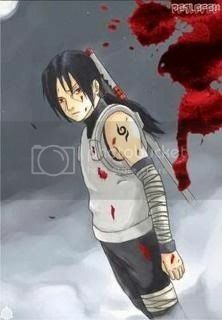 Once he loses that, he no longer has Kamui or anything, so he loses his hax ability, unlike Tsunade who can still heal. I just find that Kakashi is a far more tactical fighter who would be able to circumvent this with damage that maybe wouldn't be so easily healed. I mean, can she heal a severed head, should he land his Purple lighting technique? Sure if she ever managed to hit him, it would be over, but he has fought on par with opponents much stronger than him and survived just fine. He was even able to go toe to toe with 6 or so tailed beasts controlled by Obito, but he was of course backed by Guy, and eventually Kurama mode Naruto. I think there is discussion to be had. You put Sarutobi underneath Kakashi and Tsunade? Why? Even if we are ranking strength purely by combative abilities, throughout the 3rd's entire reign, he was a force to be reckoned with, trounced only by power creep beyond storytelling abilities. He could easily wreck Tsunade on one of her good days without even breaking out the Reaper Jutsu. And Tobirama underneath Minato? Tobirama invented hiraishin no jutsu, shadow clone jutsu, and Edo tensei; all of which he likely possessed (in the case of the first two mastered) during his time as Hokage. Minato has like, what, rasengan to his name? He did not have kyuubi during his time as Hokage so no chakra mode, not to mention his reign was probably the shortest of all of these Hokage. Your argument is a non starter. In the power scaling community it's common knowledge that you can't use statements when measuring a character's power, only observable feats. Sarutobi has the least impressive feats across the board when you look at any of the Kage individually. Tsunade was able to shatter Madara's susanoo ribcage, who just episodes ago blocked a big ball rasengan from a perfect sage, which has the power to carve away a mountain. His Summon, Enma, wouldn't be able to block any of Kakashi's raiton based attacks. He was shown to take damage by Orochimaru's Kusanagi when clashing, but the Kusanagi couldn't cut though the hide of a version two tailed beast cloak. Yet Kakashi was able to produce lighting that cut through multiple version two cloaks like butter. To take it a step further, if you look at the Wikia pages for the two individuals their charts display a .5 difference in their abilities when quantified in Kakashi's favor. Also, this is Sakura using the same punching ability that Tsunade posses, on a large scale. Nothing Sarutobi has ever done compares to what Tsunade's student was able to do, and it's not an overreach to assume Tsunade can perform equally large scale feats. as for Tobirama being stronger than Minato, that's debatable. Again, Minato has many more observable feats than Tobirama. His most admirable features are statements made by others. He was labeled on of the best Suiton users, but no technique he ever displayed even came close to what someone like Kisame was creating. He created the Edo Tensei, but never displayed any ability to summons zombies for use. So he has no zombie to summon should the two be pited against one another. Tobirama also expressed that Minato was better than he was with the flying raijin, which is supported by Minato's versatility. He displayed the ability to use multiple variants of the technique to serve a number of different purposes. In addition to that, Minato is also a perfect Sage. While he claims he isn't very good at it, his actions say otherwise. He entered perfect Sage mode, almost instantly, and was able to use a senjutsu Rasengan against Swagdara. He didn't even need the help of Ma and Pa to gather the energy, like his sensei did. Tobirama's control of Edo Tensei was heavily lacking despite creating it. He never used it, let alone perfected it to combat ready levels. Just because someone made a technique doesn't exactly make them the best at it. We really need a Sarutobi Gaiden to see what he was like in his prime. If there's any difference to what he would use, etc etc. I agree with this list here. That's news to me, but not being a part of that community I guess that's understandable. Yeah, statements are inconsistent. Sarutobi is a perfect example of this, actually. He's stated to be the strongest of the 5 Kage, but if you compare him to the Raikage or the Tsuchikage, Sarutobi would get meme'ed on. At best I would say the third Hokage is at building level when he died, any didn't show anything too much bigger than that while an Edo with no commendable speed feats. Yet Onoki is island level(+) if you look at his Dust release feats and A is a lighting timer with lethal taijutsu. That's two of the other 4 Kage that are arguably superior to Sarutobi, casually. Yet Hiruzen is somehow classifed as a God of Shinobi. Know who else has that title? Madara, Hashirama, and Hagoromo. So one of these people is not like the other when looking at the whole list. You can also look at Tobirama. He was supposedly the best Suiton user, but Kisame blows any observable feat Tobirama has ever produced out of the water with a 30% clone. Statements are unquantifiable, and really have no place in meaningful debate, unless they can be otherwise supported with pannels. And Shadow, Tobirama is my favorite Kage, but I don't agree that he's stronger than Minato. Tobirama himself said that Minato was better with FTG than he was while also having access to the Shadow clone technique and sage mode. You can't really count on his having the Edo Tensei for a fair comparison either, because he never displayed any zombies that he had on tap; his arsenal is an unknown. He could have an army of D rank ninja, or 1 S rank ninja. It's impossible to quantify, so it's not wise to use it. Other countries had a "Run on sight" order if Minato appeared in the fight. He was able to defeat Tobi in a one on one fight, when 3 people working in tandem were unable to do anything against Obito in the war. Tobirama on the other hand was able to ice Izuna Uchiha, who was supposedly on par with Mangekyo Sharingan Madara at the time, and was only killed by a group known as the Kinkaku force, composed entirely of S rank shinobi. I admit, he's nothing to sneeze at, but he lacks the feats Minato has. It was once stated the 3rd in his prime was perhaps the strongest wasn't it? Plus he had mastered more things than any other I do believe and had knowledge of all things to a greater scale. I mean hell even in his old age he went toe to toe with Oro who could have beat both Pervy Sage and Lady Hokage easily in my opinion. This being when he was but a fraction of his old self. The guy had mastered chakra control to such an amazing degree. I honestly think he was over looked as a character power house later in the series when he became irrelevant to the plot. If anything he got plot nerfed.